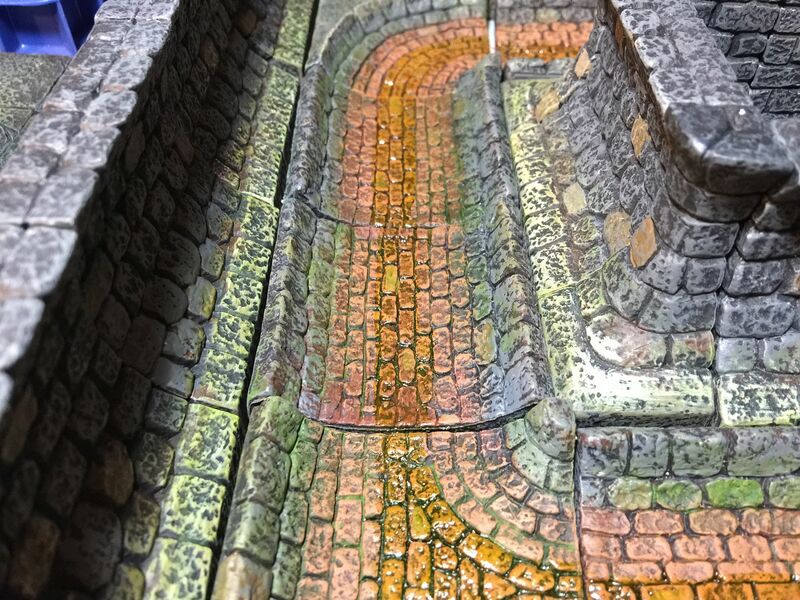 Re: Color Scheme For Sewers? I am sorry I can not help with official. I saw someone do a sewer in red brick. I liked the Idea but wanted something that would blend better with my collection . I like to paint so I always get unpainted. I use several teracoats. 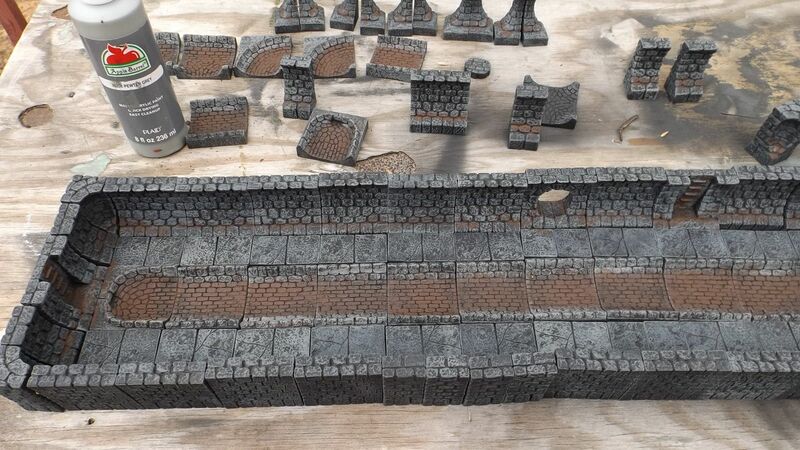 DF did not make one when I painted these bricks. I use the DF colorsto to detail and dry brush. All of the DF colors make nice washes. Use matte medium if you want a flat wash. 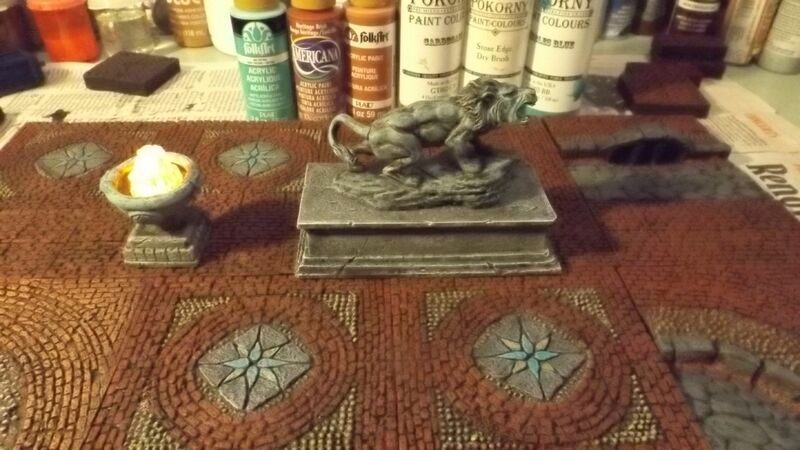 I use primer because I have to match plaster and resin cast parts to my sets. 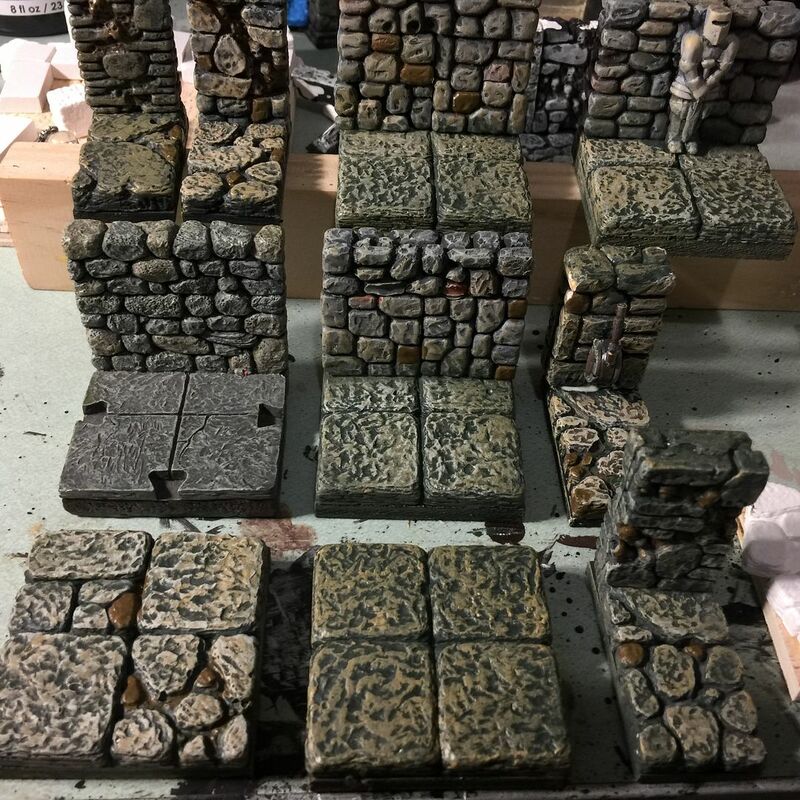 You can see some of the custom tiles I have made. Note the exact same paints look different with different brush strokes and textures. A unifying wash is always a good idea. Thanks! I'm surprised I somehow didn't see that. I appreciate the help! Go above to tutorials. 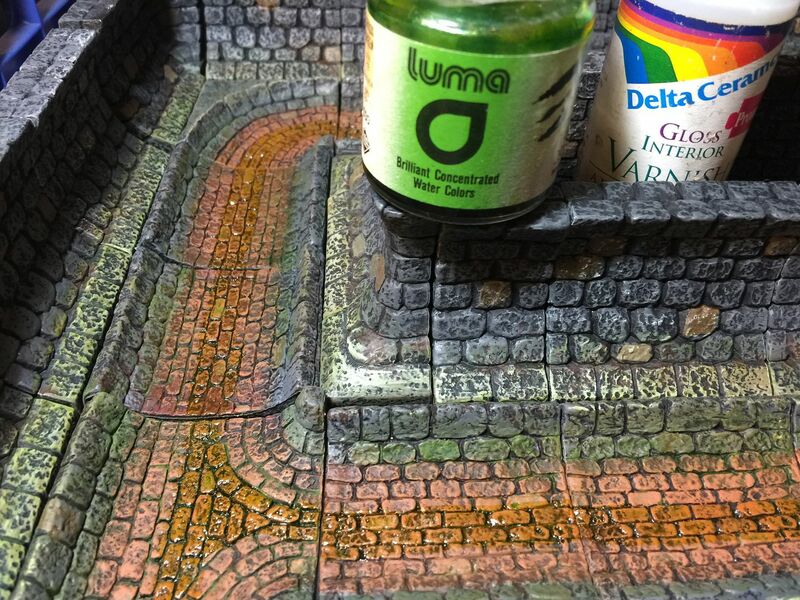 Then download the City/Castle tutorial on the paint scheme for sewers. I've been eyeing the Monster Sewer Set, and I've been wondering what the official color scheme is for that. 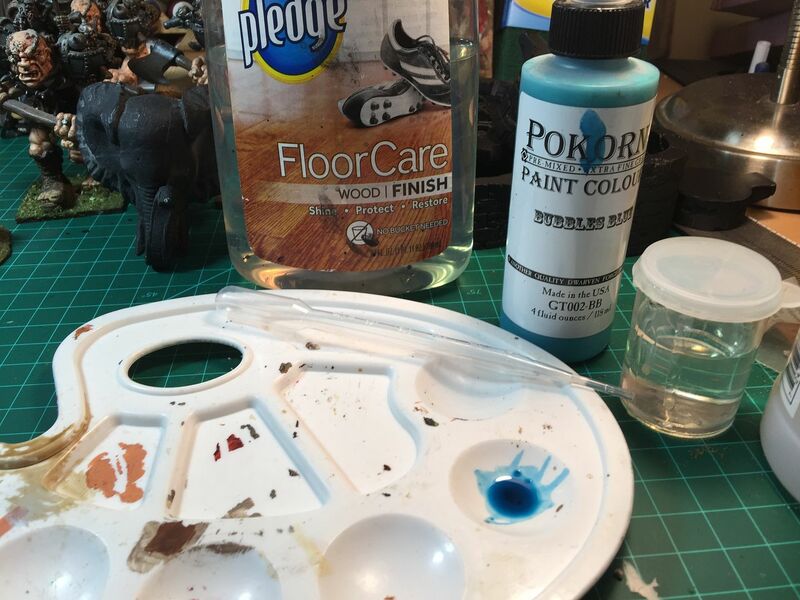 I can see that the basic four colors are used, along with Sludge (by the way, why is the color for that paint and some others smaller in the store? 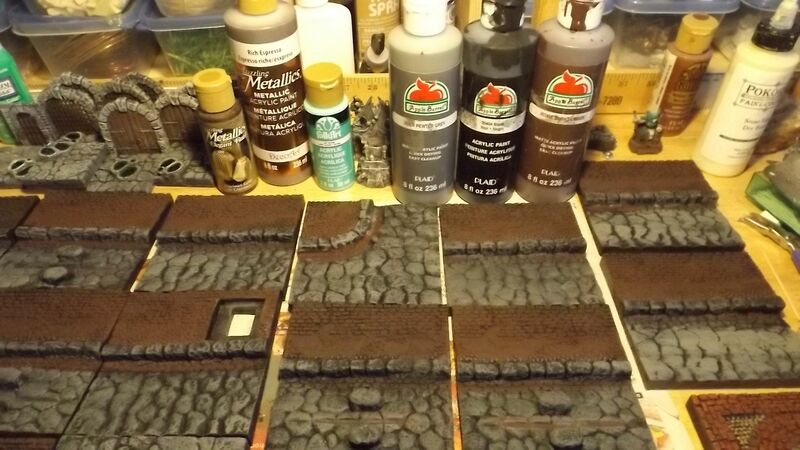 ), a light brown for the grate, and a couple more greens. Is there a link to what the color scheme is, or does someone know, or something? Thanks!